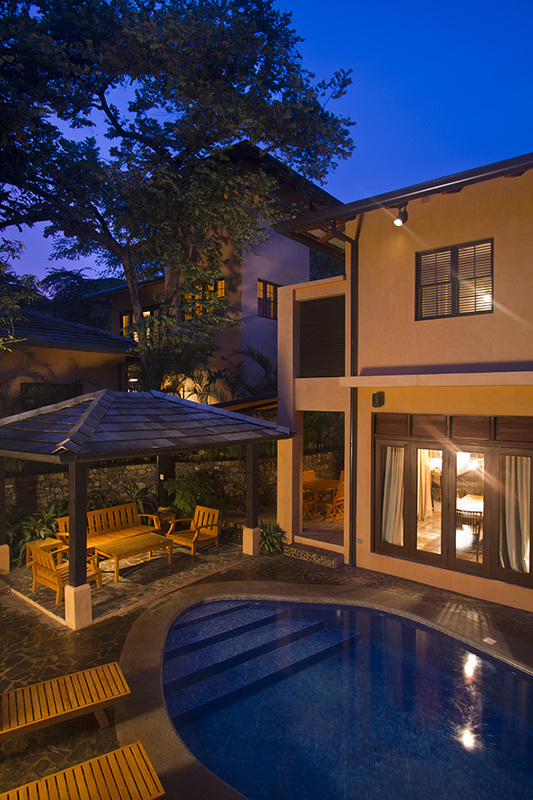 Your serene and private escape awaits you in beautiful Tamarindo, Costa Rica. 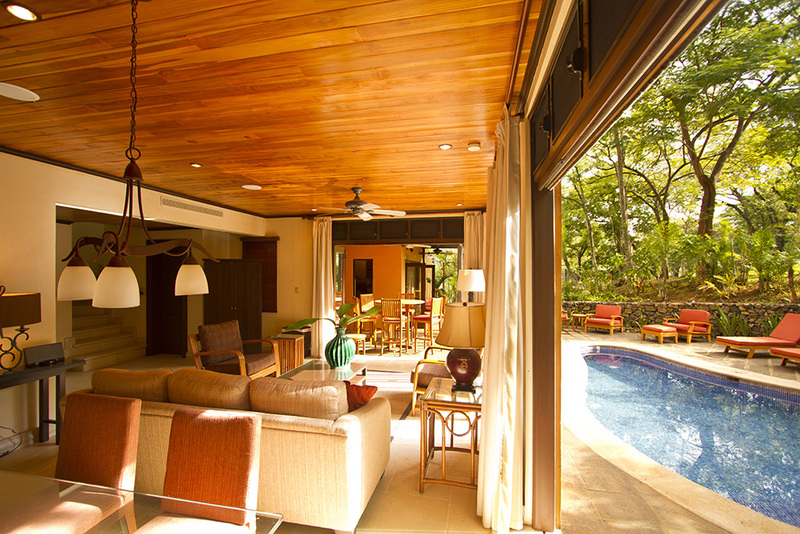 Tamarindo is located a short and scenic 45 minute drive from Daniel Oduber International Airport (LIR). Included in your beautiful home is your exclusive access to Langosta Beach Club, which is located right on Tamarindo Beach. Enjoy lounging by the infinity pool while sipping your favorite drink and snacking on any of the many menu items while basking in the sun. The Langosta Beach Club restaurant is one of the top restaurants in Tamarindo. There is also a fully equipped fitness centre and yoga studio for your enjoyment. While lounging by the pool, take advantage of the onsite concierge services available. Tamarindo has some of the best surfing, snorkeling, deep sea fishing, sunset catamaran tours, and turtle excursions available. Make this vacation a time for relaxation and rejuvenation for your mind, body and soul! This destination is a must for everyone’s bucket list. Follow the stone walkway that leads to the quaint courtyard and this beautiful custom three bedroom home with private baths. 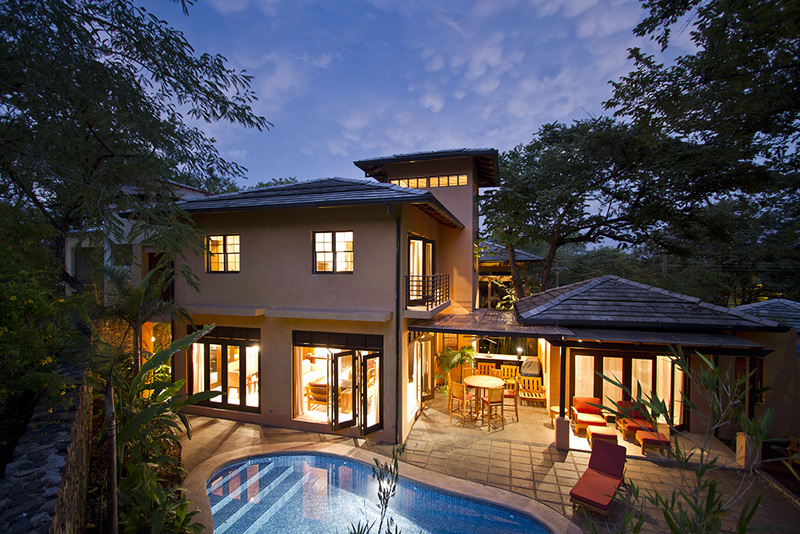 This is a unique getaway that is outfitted to accommodate your every need during your stay with us. Walk up the travertine stairs to the master bedroom with king size bed, full closet with safe, dresser, full ensuite with his and her sinks and large vanity and a large outdoor shower. The second bedroom has a queen size bed, full closet with safe, dresser and nightstands with private full ensuite, his and her sinks with large vanity, and a large outdoor shower. 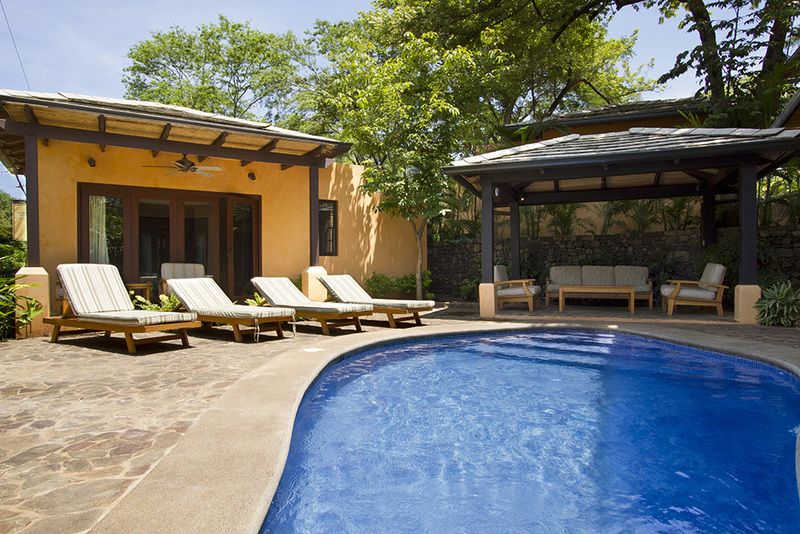 The third bedroom is located in the separate and private Casita located behind the pool. 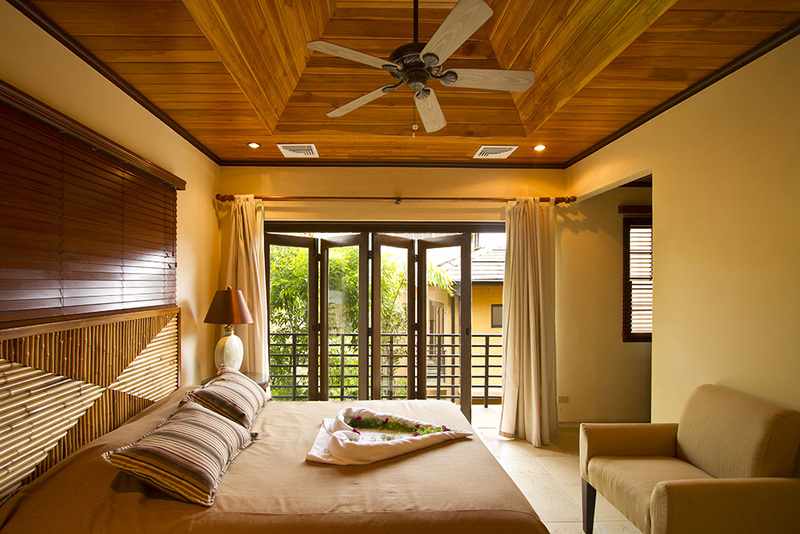 In the Casita is a king size bed, closet and safe, dresser, full ensuite and a large outdoor shower. The beautifully decorated main house has all the comforts of home, 2 large sofas, 2 sitting chairs, computer desk, television with cabinet, fully stocked kitchen with stainless appliances including a filtered ice and water dispensing refrigerator and dining table to seat 6. Open the doors of the main house to your own private oasis with oversized pool, pergola sitting area and outdoor BBQ dining space. There is an outdoor shower located by the Casita, to cool off after a run, or to rinse off from the pool or ocean. The backyard is an extension of your indoor living space, great for entertaining and relaxation. While relaxing on your outdoor chaises in the backyard, listen for the howler monkeys and the many exotic birds up in the trees. A short 10 min walk down the beach takes you to the town center, where you can enjoy shopping, restaurants and nightlife. Many excellent local shops and restaurants await you. The beaches in Tamarindo are some of the most beautiful. Enjoy surfing, snorkeling, fishing, catamaran tours, or just laying in the sun on the beach. You can walk up or down the beach for miles in either direction and discover white and black sand beaches. This really is a beautiful vacation destination. Entering from the quaint courtyard awaits a beautiful custom three bedroom home. Located up the stone stairway is the large master bedroom with king size bed, including full closet with safe, dresser, private full ensuite bath, including large outdoor shower, and his and her sinks with large vanity. The second bedroom comes with a queen size bed, full closet with safe, dresser, private full ensuite with large outdoor shower, and his and her sinks with large vanity. 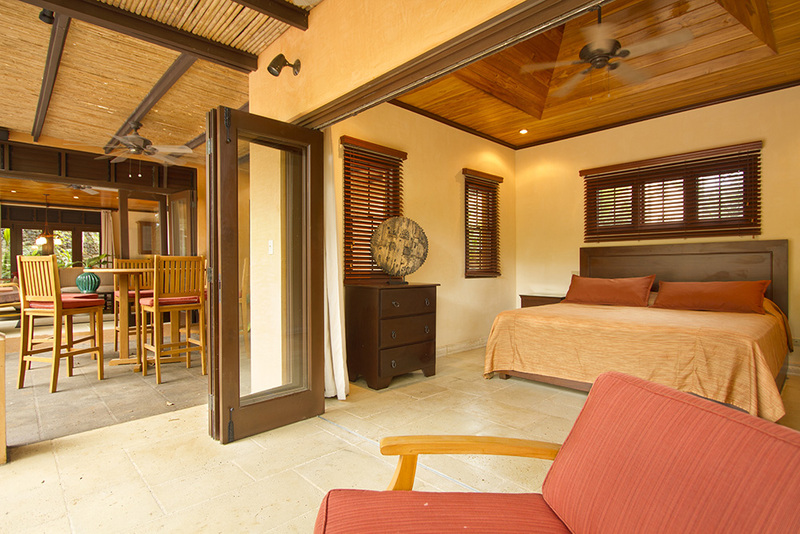 The third bedroom is located behind the pool in the private Casita. 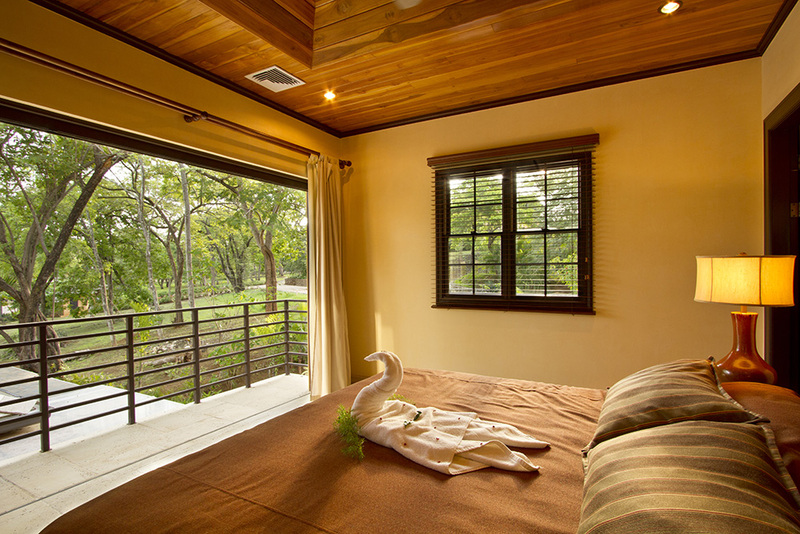 The Casita has a king size bed, closet and safe, dresser, full ensuite and large outdoor shower. The comfortable main house is equipped with all your needs, just like home. The fully outfitted kitchen comes with stainless appliances including a filtered ice and water dispensing refrigerator and a dining table that seats 6. 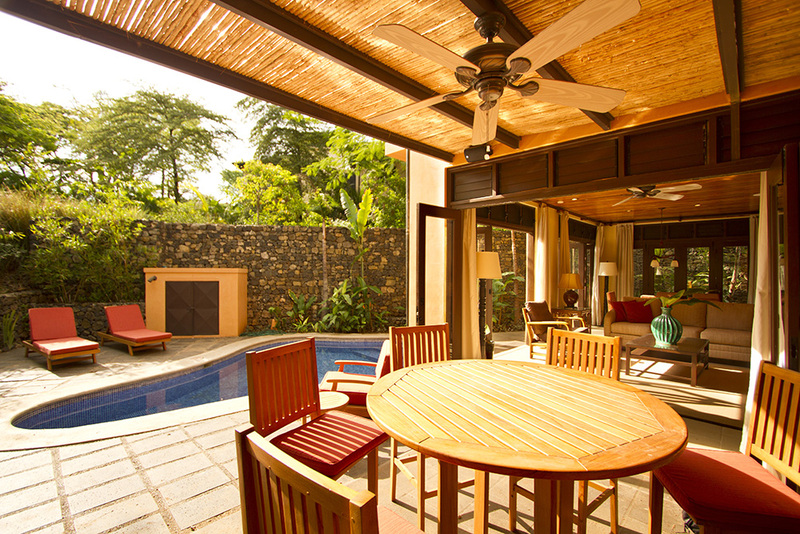 Open the doors to a large BBQ dining area, great for dinner or snacks while enjoying the large private pool. This backyard is the perfect place to entertain. There is an outdoor shower located by the pool for you to enjoy a rinse after a swim. 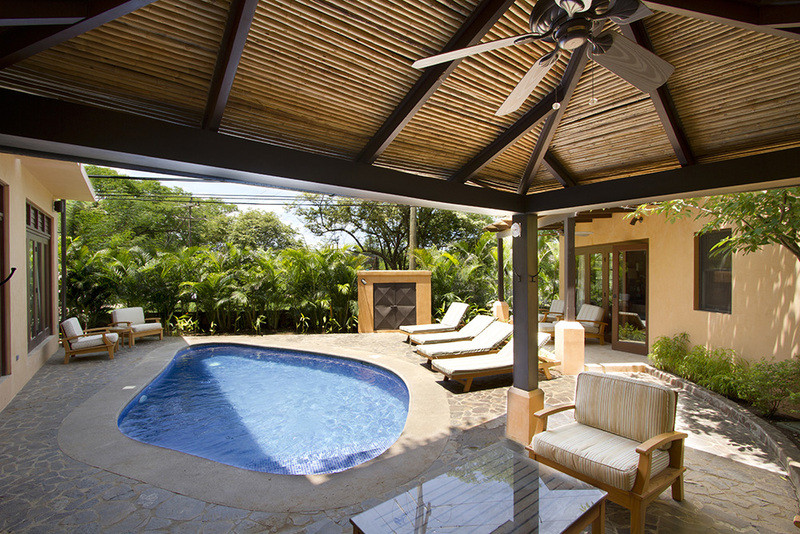 While relaxing on the chaise lounges at the pool, listen for the exotic animals, like howler monkeys and exotic birds. A short 10 min walk down the beach takes you to the town center, where you can enjoy various shopping, restaurants and nightlife. Many excellent local shops and restaurants await you. The beaches in Tamarindo are some of the most beautiful. Enjoy surfing, snorkeling, fishing, catamaran tours, or just laying in the sun on the beach. You can walk up or down the beach for miles in either direction and discover white and black sand beaches. This really is a beautiful vacation destination. Just got back from a week in Costa Rica. It’s the third time in the country and this is the best place we have stayed. We area family of 6 and there was plenty of room for all. The pictures online are accurate to the quality of this place. The pool area is perfect for relaxing with your morning coffee or an afternoon dip in the pool when coming back from the beach. The short walk to the beach club is a great bonus. This place will supply you with chairs and towels plus great food for lunch. Hope to go back again. Wow! I don’t think I have enough great things to say. Myself and my family had a great stay at Casa Peterson. The house was gorgeous, pool was great, but we were most impressed by the staff of Pura Vida concierge and the center grounds staff. Everyone went above and beyond to make our stay incredible. I would 100% recommend this place. The beach club was also such a nice perk to have! Dont look anywhere else, this is where you want to be. You'll be promptly greeted upon arrival by an amazing management team. They'll get you all settled and give great information on places to go and take care of any needs. Having access to the beach club is great, especially with kids. Our 2 year old loves the shallow pool and would've stayed in it all day. The house is within 10-15 min walk to downtown but far enough away it is quiet and relaxing. Very good service from Steffano & Rafa. We spent 4 amazing days at the house. It had everything we need, spacious rooms, fully equipped kitchen and everything very clean. The pool after a day at the beach was perfect. 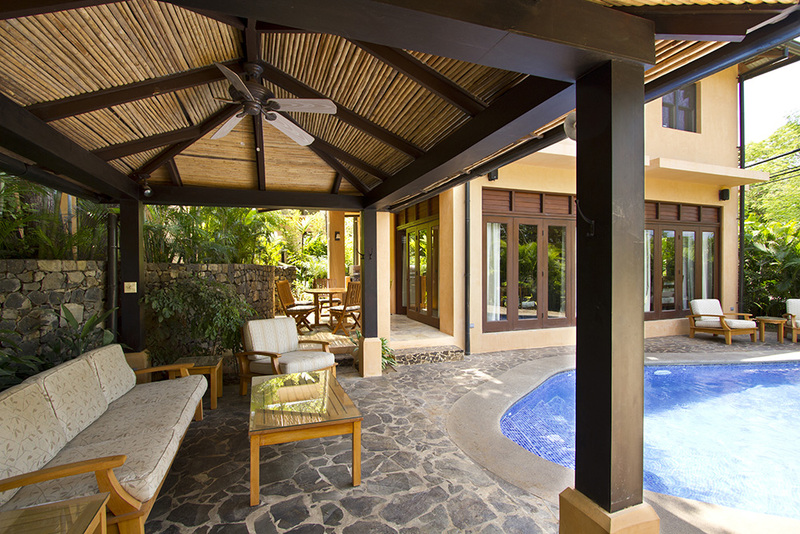 It is very well located in Tamarindo, close to everything! Pure Life! Me and a group of 10 stayed at Casa Secreta for spring break. We loved it! The pool was great and warm. The grill was used daily and great for dinner. The house is not only beautiful but spacious. We appreciate the cleaning service and pool service to make sure the Airbnb was spotless. The location is a decent walk away from town and Langosta but not too bad. Our favorite amenity was Langosta. The people were amazing and I can’t begin to describe how beautiful it was. Perfect for relaxing days, happy hour, and dinner!! Be aware that there is security patrolling at all times which comforting but we were unaware of this coming into it. Overall, amazing stay would recommend and come back again in the future. Casa Secreta is definitely home away from home. It is near enough to everything where all you need to do is take a short walk. Security was at a premium so there was never a thought of being unsafe. Having your own personal pool was also a plus. I would highly recommend this home in a heartbeat. We really enjoyed our stay. Having a private pool was great. Would recommend! We enjoyed the beautiful home and the location. It is fully stocked, so we prepared all breakfasts in before going out for our day. We had a great stay. The only downside was the dust from the road nearby, which floated across the pool area. The access to the Langosta Beach Club was a plus as we preferred the beach to the pool anyways. Thx for sharing this beautiful home. Very secluded location yet Super close to tons of restaurants and bars and shopping. Can walk or it's a short drive. Beach club is worth a visit also. Hosts were very helpful. Called a few times with questions and always assisted quickly. Wifi worked well and they even gave us a local phone to make calls. Great house in a great location. It is close enough to town to walk in but far enough away to be quiet. A troop of monkeys live nearby and come visit in the mornings. The use of the club was priceless and we spent a lot of time there. Jeado was a wonderful help in getting us around. Is a one of the nicest house that we stayed while visiting Costa Rica . We felt secure and cared in this condo.